The crew of US Airways Flight 1549 performed exceptionally on January 15, 2009, when their Airbus A320 jetliner became disabled over New York City after flying through a flock of geese moments after they took off from LaGuardia Airport. Capt. Chesley B. “Sully” Sullenberger and First Officer Jeffrey B. Skiles masterfully guided the powerless aircraft to an emergency “landing” on the Hudson River. 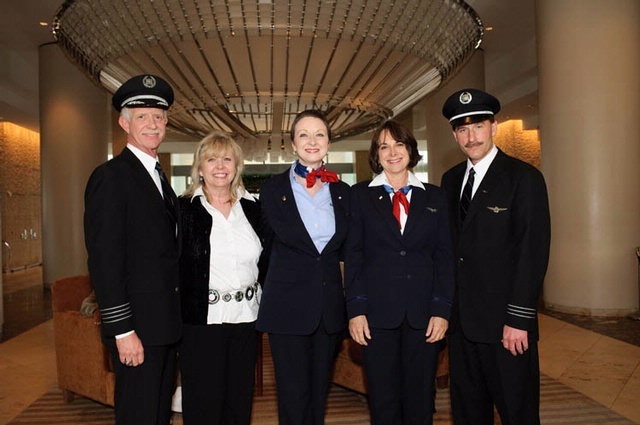 Flight attendants Donna Dent, Doreen Welsh, and Sheila Dail quickly and safely evacuated all 150 passengers. Members of the flight crew joined museum staff for an educational online conference to discuss the training, teamwork and professionalism that contributed to a successful outcome.